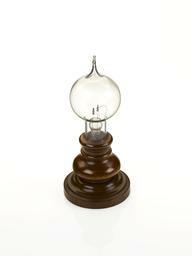 Lightbulb with bayonnet fitting photographed from above on a white background. 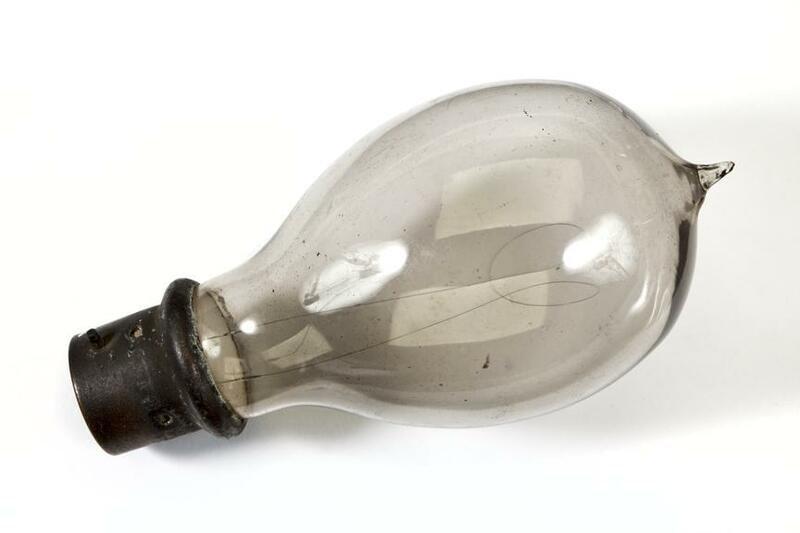 Glass electric bulb with bayonet fitting. Removed from the John Rylands Library around 1993. 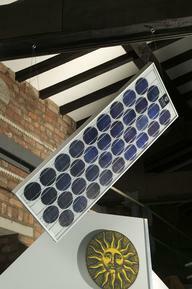 In Manchester, Enriqueta Rylands chose electric bulbs to light the library she built in memory of her husband John. Mrs Rylands appointed Charles Hopkinson as consulting engineer for the electrical installation in April 1895. Hopkinson planned the electrical system at the library, which was one of the first public buildings in Manchester to have electric lights. 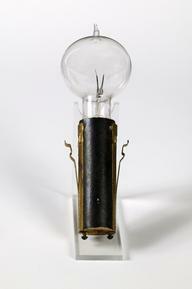 This bulb is one of a set of early electric bulbs that were removed from the library around 1993.